You’re doing a presentation, so you start with the facts you want to get across. Wrong! Humans are hardwired for stories. They love heroes, journeys, surprises, layers and happy endings. 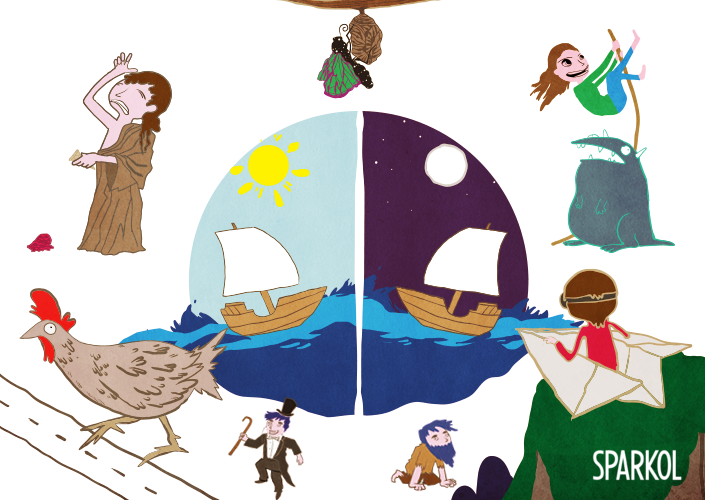 The monomyth (also called the hero's journey), is a story structure that is found in many folk tales, myths and religious writings from around the world. In a monomyth, the hero is called to leave their home and sets out on a difficult journey. They move from somewhere they know into a threatening unknown place. After overcoming a great trial, they return home with a reward or newfound wisdom – something which will help their community. Lots of modern stories still follow this structure, from the Lion King to Star Wars. 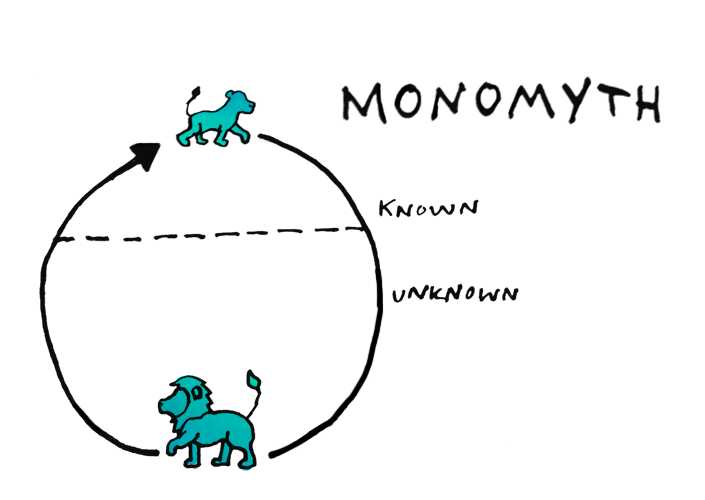 Using the monomyth to shape your presentation can help you to explain what has brought you to the wisdom you want to share. It can bring your message alive for your audience. Japanese yo-yo-er BLACK tells the inspiring story of finding his life's passion, and the difficult path he took to become world champion. He closes by sharing his newfound skills with the audience, bringing his journey full circle. 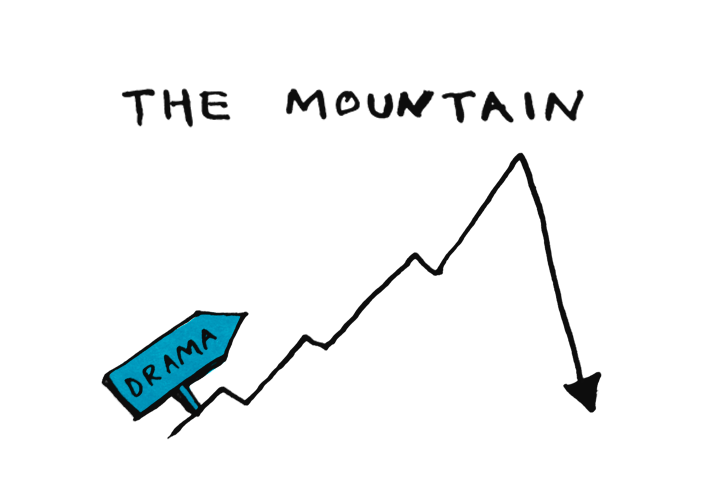 The mountain structure is a way of mapping the tension and drama in a story. It's similar to the monomyth because it helps us to plot when certain events occur in a story. It's different because it doesn't necessarily have a happy ending. The first part of the story is given to setting the scene, and is followed by just a series of small challenges and rising action before a climactic conclusion. It's a bit like a TV series – each episode has its ups and downs, all building up to a big finale at the end of the season. Aimee Mullins uses a mountain-structure speech to tell a personal story – from being born without fibula bones in her lower legs to becoming a famous athlete, actress and model. 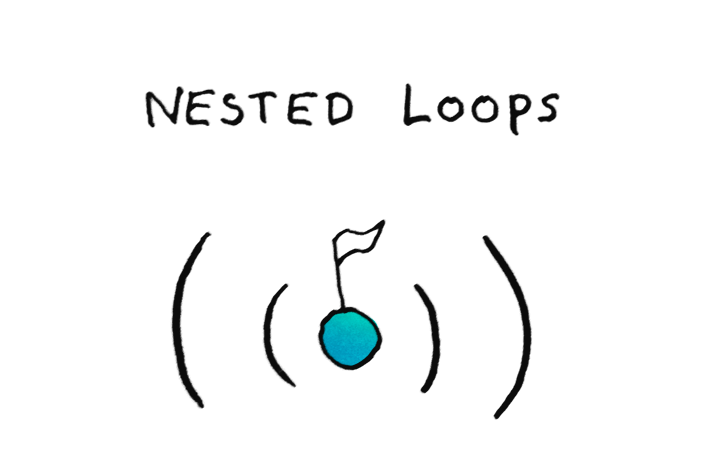 Nested loops is a storytelling technique where you layer three or more narratives within each other. 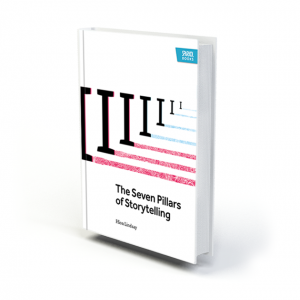 You place your most important story – the core of your message – in the centre, and use the stories around it to elaborate or explain that central principle. The first story you begin is the last story you finish, the second story you start is second to last, etc. Nested loops works a bit like a friend telling you about a wise person in their life, someone who taught them an important lesson. The first loops are your friend's story, the second loops are the wise person's story. At the centre is the important lesson. See also: Simon Sinek's TED talk shows how successful organizations place the 'why?' of what they do at the centre, surrounded by the 'what?' and 'how?' of their business. Nested loops are an ideal way of framing this message, giving your audience a real insight into your identity. Chimamanda Ngozi Adichie uses the framework of her experiences in university and the way that Africa is perceived in the Western world to drive home her argument about stories. 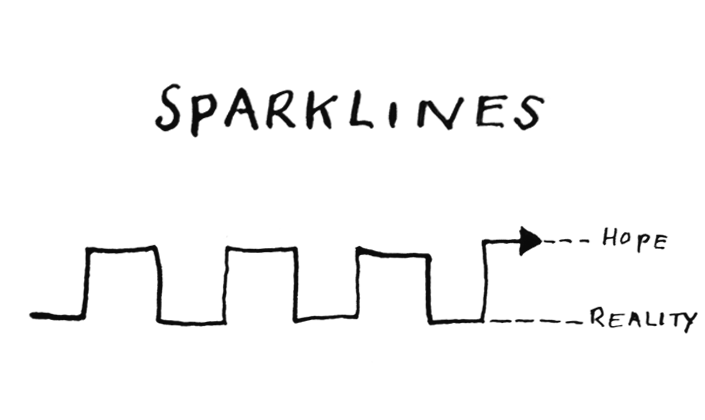 Sparklines are a way of mapping presentation structures. Graphic designer Nancy Duarte uses sparklines to analyse famous speeches graphically in her book Resonate. She argues that the very best speeches succeed because they contrast our ordinary world with an ideal, improved world. They compare what is with what could be. By doing this the presenter draws attention to the problems we have in our society, our personal lives, our businesses. The presenter creates and fuels a desire for change in the audience. It's a highly emotional technique that is sure to motivate your audience to support you. Martin Luther King's speech is famous the world over because it contrasts the racist, intolerant society of the day with an ideal future society where all races are treated equally. 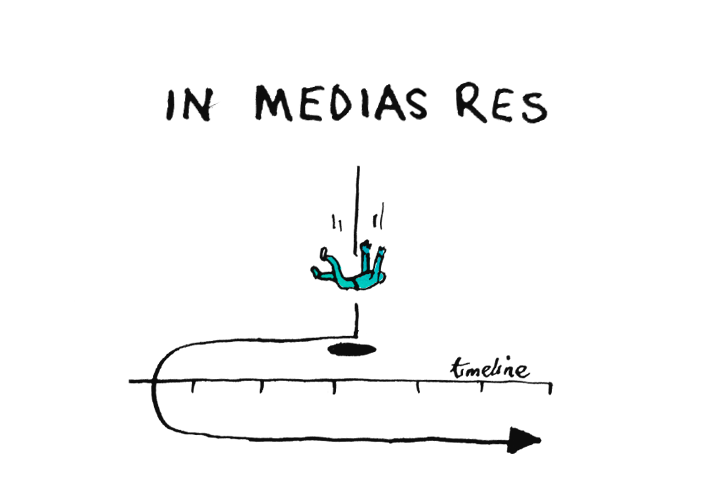 In medias res storytelling is when you begin your narrative in the heat of the action, before starting over at the beginning to explain how you got there. By dropping your audience right into the most exciting part of your story they'll be gripped from the beginning and will stay engaged to find out what happens. But be careful – you don't want to give away too much of the action straight away. Try hinting at something bizarre or unexpected – something that needs more explanation. Give your audience just enough information to keep them hooked, as you go back and set the scene of your story. This only works for shorter presentations though – if you string it out too long your audience will get frustrated and lose interest. Zak Ebrahim begins his talk with the revelation that his father helped plan the 1993 World Trade Centre bombing. His audience is gripped from the beginning, as he begins to recount the events of his childhood and the path he took after his father's conviction. 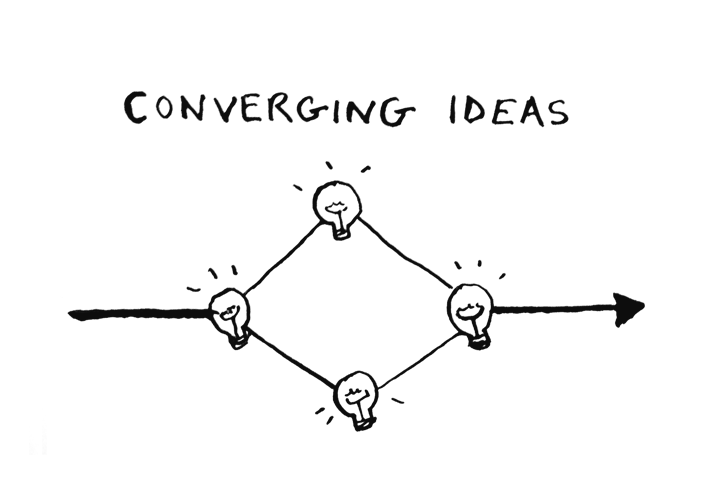 Converging ideas is a speech structure that shows the audience how different strands of thinking came together to form one product or idea. It can be used to show the birth of a movement. Or explain how a single idea was the culmination of several great minds working towards one goal. Converging ideas is similar to the nested loops structure, but rather than framing one story with complementary stories, it can show how several equally important stories came to a single strong conclusion. This technique could be used to tell the stories of some of the world's greatest partnerships – for example, web developers Larry Page and Sergey Brin. Larry and Sergey met at Stanford's PhD program in 1995, but they didn't like each other at first. They both had great ideas, but found working together hard. Eventually they found themselves working on a research project together. A research project that became Google. John Bohannon and the Black Label Movement explain (verbally and through dance) how scientists and dancers came together to form an exciting, dynamic alternative to boring presentations. 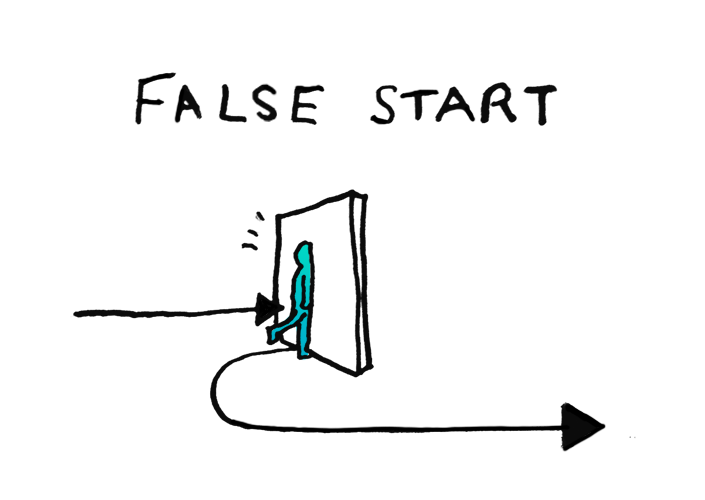 A 'false start' story is when you begin to tell a seemingly predictable story, before unexpectedly disrupting it and beginning it over again. You lure your audience into a false sense of security, and then shock them by turning the tables. This format is great for talking about a time that you failed in something and were forced to 'go back to the start' and reassess. 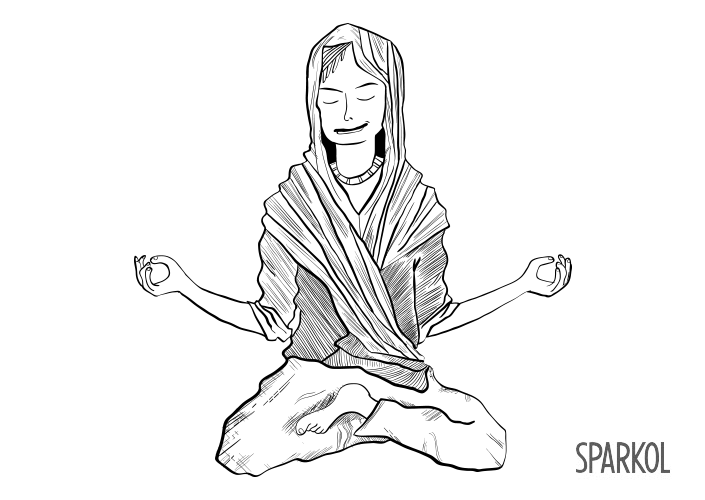 It's ideal for talking about the things that you learnt from that experience. Or the innovative way that you solved your problem. But best of all, it's a quick attention hack which will disrupt your audience's expectations and surprise them into paying closer attention to your message. See also: Retroactive continuity is when a storyteller goes back and alters the 'facts' in their story. If you are a character in the story you're telling, you can use a false start to go back and retell your own story in a surprising way. J K Rowling begins her speech at Harvard in a typical fashion. She talks about her time at university and the expectations of her parents. The audience expects her to talk about the growing success of her writing career – instead she focuses on a time in her twenties where she felt she had 'failed' in life. What comes next is inspirational. 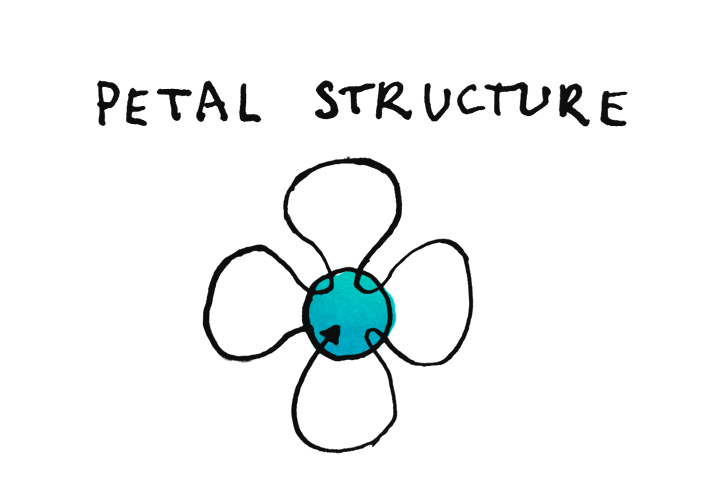 The petal structure is a way of organising multiple speakers or stories around one central concept. It's useful if you have several unconnected stories you want to tell or things you want to reveal – that all relate back to a single message. You tell your stories one by one before returning back to the centre. The petals can overlap as one story introduces the next but each should be a complete narrative in itself. In doing so, you can weave a rich tapestry of evidence around your central theory. Or strong emotional impressions around your idea. By showing your audience how all these key stories are related to one another, you leave them feeling the true importance and weight of your message. Simon Sinek again! His theory might lend itself perfectly to nested loops, but he himself chose to deliver his talk in a petal structure. He tells his audience a series a stories to help illustrate his ideas, each one strengthening his message further. So there you have it – 8 classic storytelling shapes to brighten up your talk and really engage your audience. Of course there are many other storytelling techniques out there that you can use. 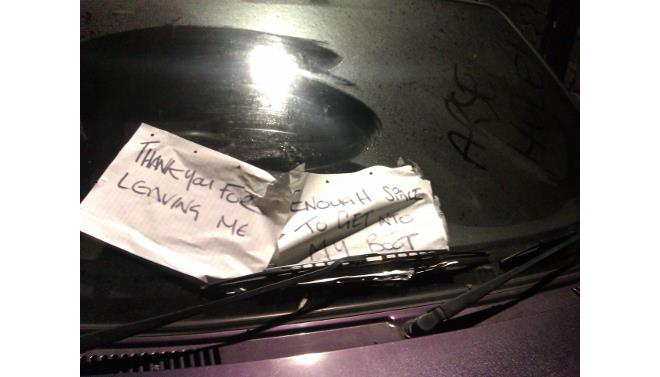 What I hope this post has done is show you that stories are powerful. They are the language of your audience. Your talk – however dry the subject – can be brought alive if you find the story at the heart of it all.